Daraus entsteht eine Mischung aus anspruchsvollem lounge-sound kombiniert mit klassischen Einflüssen und flirrender elektronischer Musik. 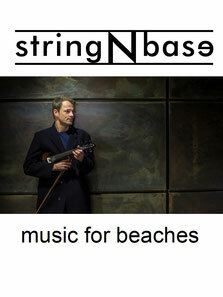 the hamburg-based project stringNbase takes the listener on a musical journey between past and present. fresh electronic beats, spherical sounds and creaking basslines get easily connected with organic violins and minimalistic vocals. the result is a mixture between high-class lounge-sound, classical influences and driving electro-music. Whether dinner, event or club, stringNbase always finds the right sound.